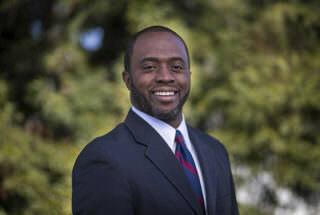 California State Assemblyman Tony Thurmond is running for California Superintendent of Public Instruction but it might be hard to tell why based on a couple of recent votes on one of the most important education issues facing the state. The East Bay Democrat sits on the Assembly Education Committee, which would seem like an excellent platform for someone running for state schools chief to take a leadership role. However, on the politically thorny issue of teacher tenure he has — in capitol vernacular — taken a walk. In April, the committee considered AB 1220, authored by Thurmond’s Democratic colleague Shirley Weber from San Diego, that would have extended the number of years required for a teacher to earn tenure in California from two to three years. In addition, the bill would allow up to an additional two years of probationary status and extra training for promising teachers who had not quite earned permanent status. As the bill analysis notes, California is one of only 12 states with a such a short time period for earning tenure and this provision was one of the central issues in the recently overturned Vergara decision. AB 1220, as it was written and heard in the committee in April, had broad support from traditional education interests like the Association of California School Administrators and the Riverside County Superintendent of Schools, as well as community-based organizations like the United Way of Greater Los Angeles, Children Now, Alliance for a Better Community and InnerCity Struggle. In all, 14 organizations and several individuals officially registered their support for the bill to just two in opposition: the powerful California Teachers Association and California Federation of Teachers. When it came time to vote, Thurmond abstained (often referred to as “taking a walk” because of the practice of leaving the committee room when it comes time to vote) and the bill received the minimum votes needed to progress through the legislative process. AB 1220 wasn’t done with committee shenanigans, however. Because of the nebulous potential for a fiscal impact on the state budget, the very powerful Assembly Appropriations Committee was able to grab it and gut it. The bill that passed out of that committee has little resemblance to the original bill, restoring the two-year tenure requirement but adding a potential third probationary year with several conditions. Even this watered down version wasn’t enough, however, to avoid CTA opposition and the union continued to hammer away at it while the bill picked up more education establishment support from the likes of the California PTA and the California Association of School Business Officials. With CTA still opposed, the bill cleared the Assembly but with a whopping 15 abstentions, including another from aspiring educational leader Thurmond. It now moves to the Senate where it faces an uncertain future. Leaving aside the fact that the most fundamental job of a legislator is to vote on legislation, vote avoidance on important educational bills by someone who wishes to lead the California Department of Education is an especially bright red flag. Thurmond’s official Assembly website, as well as his campaign website, make no mention of his abstentions. Indeed, the issue doesn’t come up at all. Given the lopsided support in favor of the bill, both in its original and in its amended form, it’s reasonable to conclude that Thurmond could not risk angering bill supporters by voting against it, nor did he wish to disappoint a potentially powerful political patron, CTA, by voting for it. A profile in courage, this is not. An alarming inequity characterizes California’s public education system: 65 percent of economically disadvantaged students and a stunning 75 percent of African-American boys are not meeting state standards for reading and writing, and 77 percent of low-income students aren’t meeting state math standards. The quality and distribution of teachers in our schools are fundamental components to addressing this crisis. This is no time, Mr. Thurmond, to take a walk.